How do call to actions play a role to increase conversion rate? Is a button somehow more appealing than a text link? Will banner advertising be obsolete in the next few years? Answers to such questions and many others are revealed below. Read on. Those striving to maintain a profitable business presence on the web are of the opinion that conversion exists in more than one form. Whether it is about getting clicks on a certain button/text links or the purchase of a product, at the end of the day, it is the action a visitor takes at your website that decides your business’ fate. There is ample information on the web on how businesses can get the wheels going in the right direction by attracting more traffic. While some sing praises for Google referrals, others speak volumes of social networking sites that have secured success for countless brands overnight. However, what about converting existing visitors for a website? One may find it hard to believe, but improving different aspects of your website is the little change that can make a big difference. In short, it can all boil down to doubling your income without doubling your traffic. Banners- Aren’t they the Safest Bet? Banners have been an amazing advertising strategy ever since affiliate websites and display advertising exists. However, many eye-brows have been raised in the last few years regarding their effectiveness. Many believe they should no longer be considered an option to gain additional traffic. In order to test such claims, a test has been carried out with the assistance of the team at Live Casino. The test was endeavored at revealing how visitors react to the variety of conversion opportunities offered. In order to amass sufficient data to support our results, it is to be kept in mind that this test was carried for 12 months. 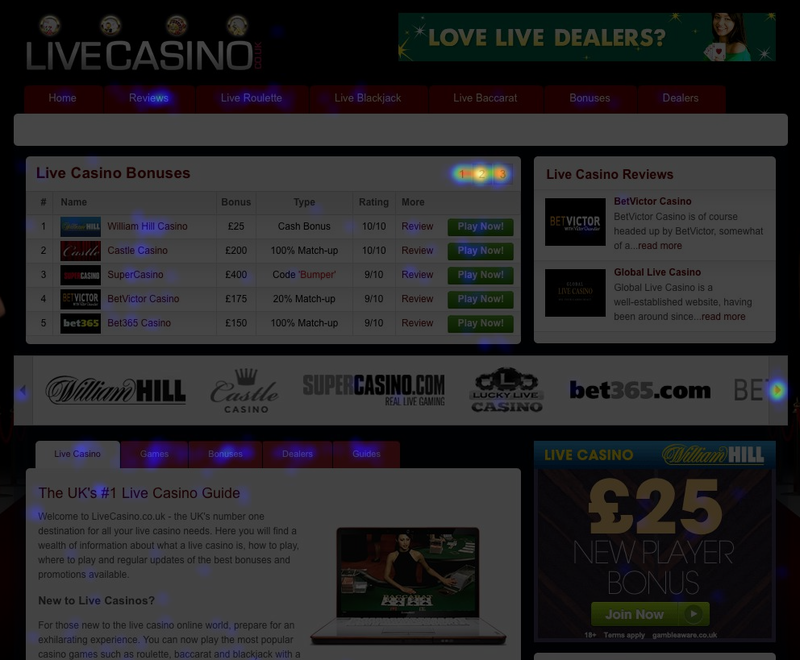 Out of the virtually countless websites available, www.livecasino.co.uk was used as it already had the desired text links and conversion buttons in place. Also, the website makes use of banner advertising. In order to derive results, different software have been used to correlate data. The exercise attempts to reveal which are the banners that are clicked more and the most effective buttons that significantly improve conversion rates. In order to determine which promotional medium proved to be most effective, what we did was track clicks from different pages that landed visitors on this page and whether they made them through buttons, banners or text links. The click percentages for these three mediums are as follows. Banners Or Button/Text Links- What Works Best? At the start, we were unsure about the results. However, it does seem that banners are losing their popularity with the passage of time. The sad part was that the rate of decline was steeper than expected. As can be seen above, there is a banner placed prominently at the top of website. Also, there is a banner placed at the sidebar on the right. Despite the fact that these banners were so eminently placed, it came as a surprise that 83% of the click through rate was achieved through text links and buttons rather than the 17% which was attributed to banners. While this was already a huge difference, what came as a further surprise was the increase of conversion rates by 4% in the next sixth months. This further manifests the idea that the potential of banners might actually be diminishing altogether. Despite the fact that it was obvious that customers were inclined to use buttons and text links more, when all banners were removed, the click through rate swayed by 6%. This establishes that banners are still playing a role, irrespective of how insignificant they may be. It was further found that green buttons on site, such as the ones at the bottom of the page and advertiser’s logo, resulted in a total of 43% clicks. 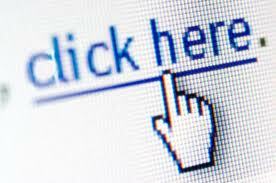 The fact that text links contributed to 34% of the click through rate makes it obvious that there are a large number of individuals who read content in order to make well-informed decisions. Context And Design- Do They Have An Influence? When it comes to questions like if design and context has an effect on the click-through rate, we determined through this exercise which banners were more attractive than others and why. Let’s take a look at two examples. Let’s take a look at the banner that generated only 4% click through rate. The casino business earns a decent amount of revenue, but apparently this banner did not have much to contribute to it. The reasons for this ineffectiveness were rather obvious. The colors are bleak. This is no call to action or obvious message. Half of the banner focused on branding that failed to stand out. This banner had the best results in terms of click through rates. The colors are eye-catching. There is a clear message that theirs is the finest casino in the world with a focus on compelling words. The call to action is highlighted using green color. Only 20% of the banner has been used for branding whereas the rest compliments the banner well. The red banners proved to be the worst as they generate a click through rate of only 29%. 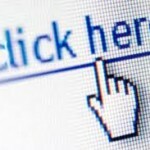 The green ones proved to be the best as they generated a click through rate of 43%. As seen above, the red buttons proved to be less useful than green ones. This may have to do with mental association with the colors. Red means stop. Green, on the other hand, is perceived as an invitation to proceed. This warns you against using red buttons for any of your websites in future. As stated before, the button’s color can serve as an important conversion factor. Now, we will take a look at what works for text links. Here contextual relevance comes into play. 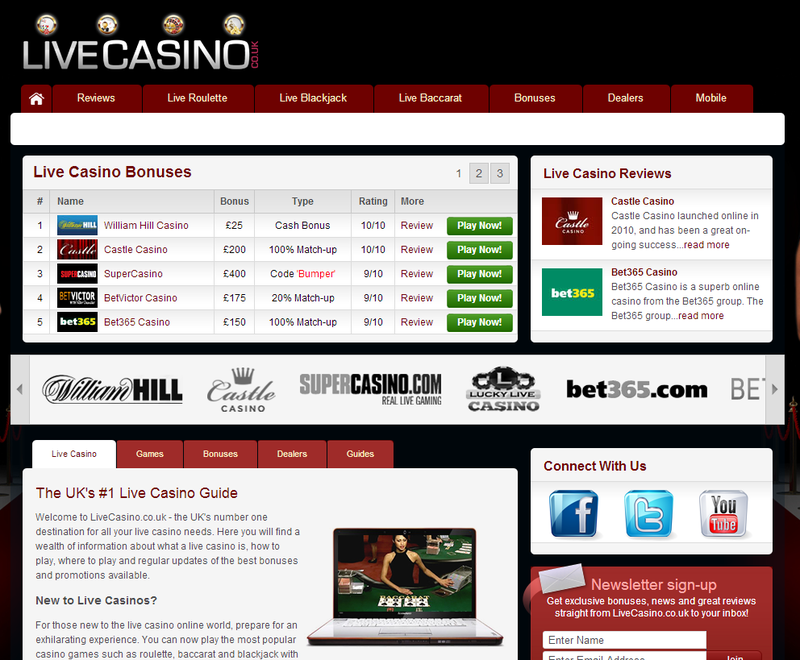 A link such as ‘Play Poker at William Hills Casino by Clicking Here’ is better than a link that says ‘Play Now’. The latter received 50% less stops. This implies that contextual relevance is of utmost importance in this scenario. Bottom-line, buttons and text links work better than banners presumably because of trust and internet intelligence. Buttons/text links give out the signal that they will only land you on the desired location. Also, an average internet user has learned to ignore banner advertising ticking it off as forced third party advertising. The above exercise backed up the belief that banners may no longer be as effective as they were once believed to be, but by achieving a balance in all the essential elements, banners can also be invaluable for a website. Just make sure that your banner has a clear message, appropriate amount of branding and a convincing call to action and you are all set to go.